Life with a newborn in the house has given us a newfound appreciation for weekend brunch. We’re up early, and those morning hours are when our little gal is at her happiest. 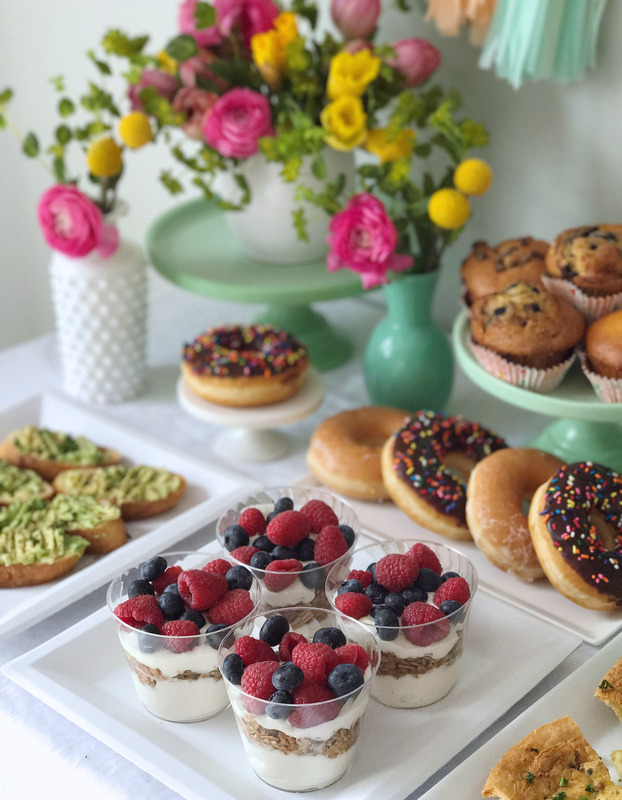 So instead of meeting friends out for drinks like we used to on Saturday nights, we’ve been inviting friends over for a late morning brunch to catch up instead. 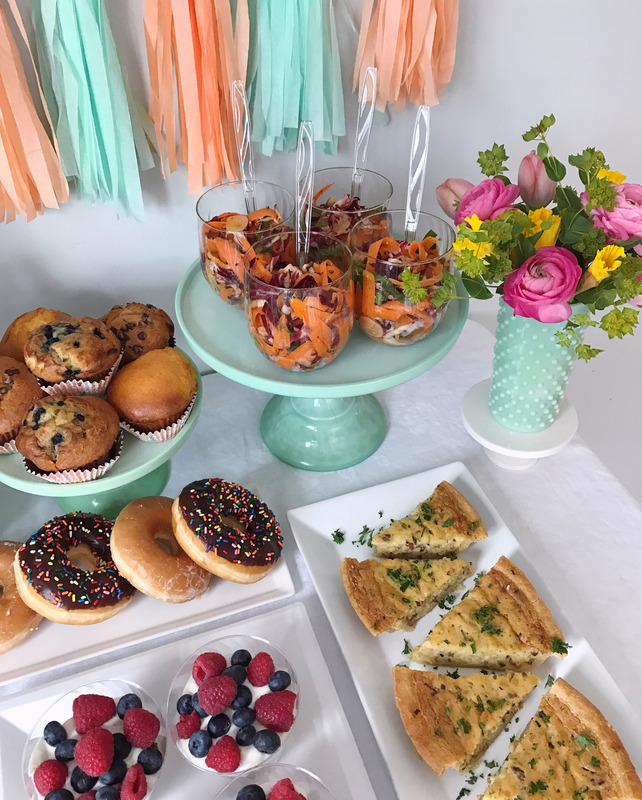 With Easter just a few weeks away, brunch ideas have been even more top of mind – my family has a tradition of celebrating the holiday with a big brunch-style feast! 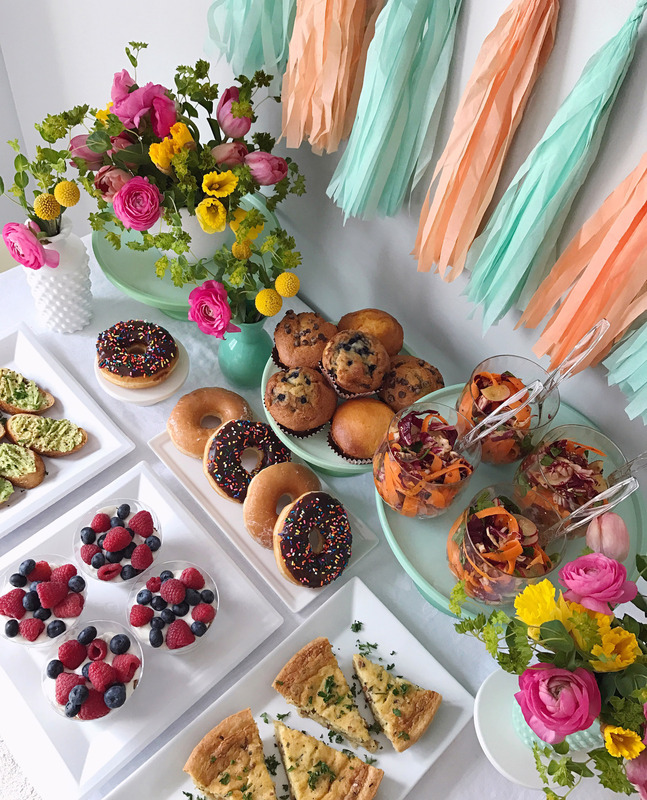 Time is a precious commodity these days though, so I’ve been pulling out all of the tricks in my toolbox to create a Pinterest-worthy brunch as efficiently as possible. During some of my travels, I’ve had the opportunity to stay at a few different hotels from the Lark Hotels brand – and one thing I love about them is that they present a delicious small-plates style breakfast spread in their lobby every morning. They’ve inspired my new brunch technique of setting up a tapas-inspired menu that looks like I spent hours cooking, but in reality, it only takes about 30 minutes to set up. Here’s how I do it: The day before: Write my shopping list and gather all ingredients and prepared foods the night before so I’m ready to setup before guests arrive! The night before: Get out dishes, cutlery and serving dishes for the next day and fill a few bud vases with fresh flowers. Make sure your ice cube trays are filled and any drinks you’re serving are chilling in the fridge (mimosas, please!). 10:00 a.m.: Preheat the oven and pop in a store-bought quiche from the grocery store. Slice up a baguette and drizzle the pieces with olive oil and toast in the oven. 10:05 a.m.: Use a vegetable peel to cut ribbons of three large carrots, thinly slice radishes and radicchio, and toss with torn spinach. Mix up a tablespoon of grainy mustard with a drizzle of olive oil and another tablespoon of apple cider vinegar. 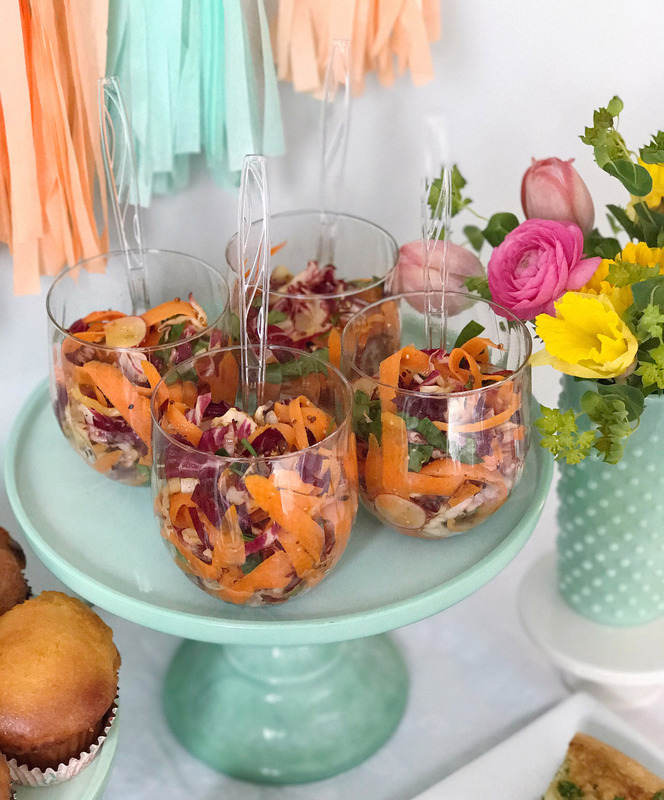 Toss with the vegetables and season with salt and pepper before dividing into four Chinet® Cut Crystal® stemless wine glasses. 10:15 a.m.: Divide and layer Greek yogurt, granola, nuts and fresh berries in Chinet Cut Crystal cups to make individually portioned parfaits. 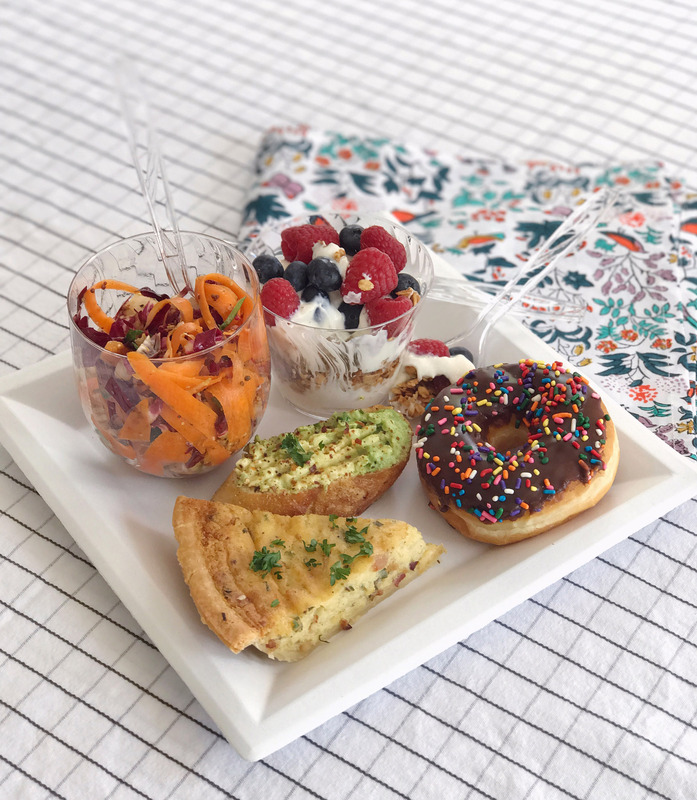 10:20 a.m.: Breakout a few platters, cake stands, or Chinet® Classic White™ square dinner plates (for easy cleanup!) and arrange a selection of muffins or donuts. 10:25 a.m.: Spread a fresh avocado across the freshly toasted baguette slices and top with salt, pepper and crushed red pepper flakes. 10:30 a.m.: Pull the quiche out of the oven and slice into individual pieces to display on a platter. Garnish with fresh herbs before placing on the table By 10:31 a.m., you can toss any containers in the recycling bin so your guests won’t even know you bought the quiche and those muffins (keep your apron, it helps convince them you were cooking all morning!). Then all that’s left to do is pop a bottle of Champagne and pour yourself a mimosa to enjoy as your guests arrive! Please note: This post was created in partnership with the Chinet brand. All opinions, images, and content are my own. Thank you for supporting brands that help support this site! DIY Marbled Photo Stands. Tips for Researching Baby Gear. 8 Responses to "Small-Plates Style Brunch in Under 30 Minutes." YUMMM! This is a great idea (I mean, why can’t tapas be more of a brunch thing, all the time) and I’m totally filing some of these specific dishes away for a girls brunch. Thanks for sharing! 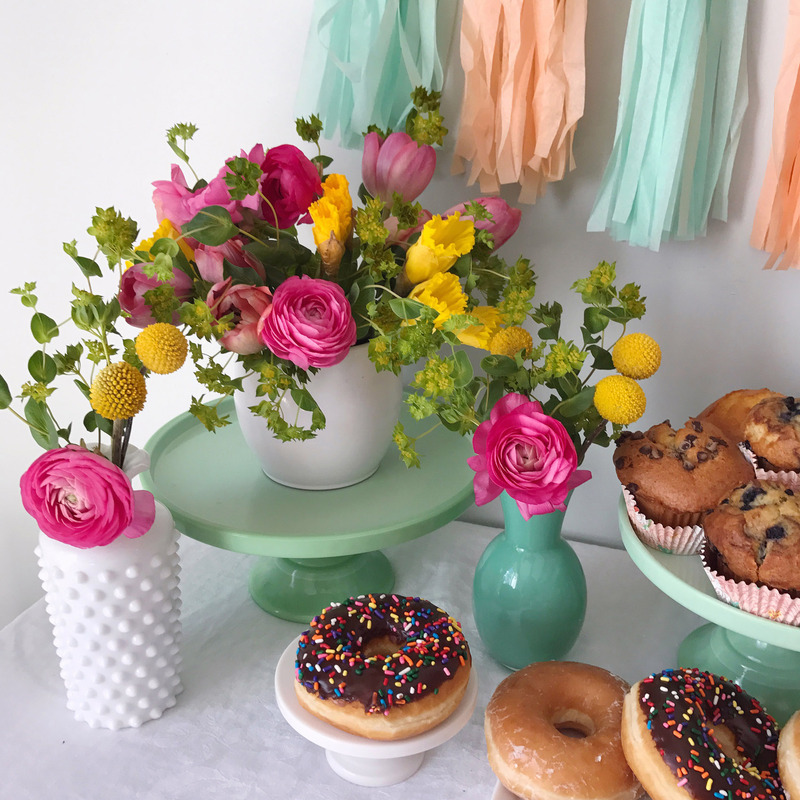 I love all of your cake stands, serving pieces and vases! Those flowers are stunning. This is great! very appetizing! 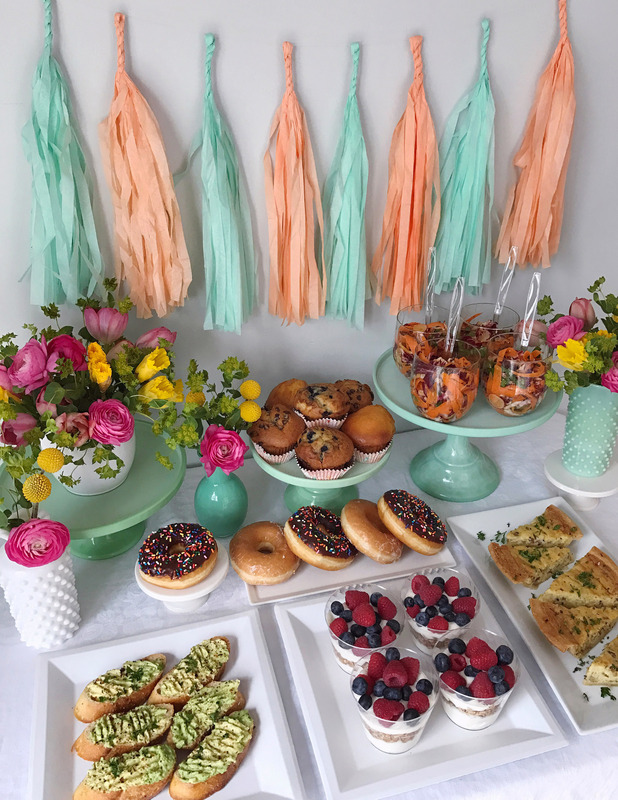 I think these ideas would be great for a kids’ table at Easter. (Well, minus the mimosas!) Kids like small, appealing servings since they just nibble anyway, waiting for the hunt for eggs that seems to take forever to arrive! I agree Joyce! Hope you get to try them! 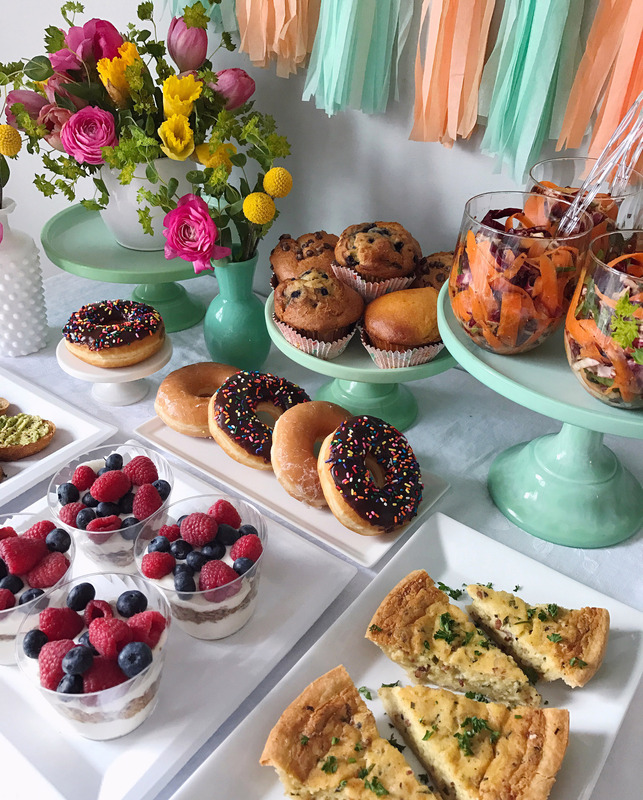 Just found out I will be hosting Easter brunch for a few families – so glad for this timely entertaining tips!